I've recently found some great beauty must haves, so I thought I would gather them up and share them with you all. 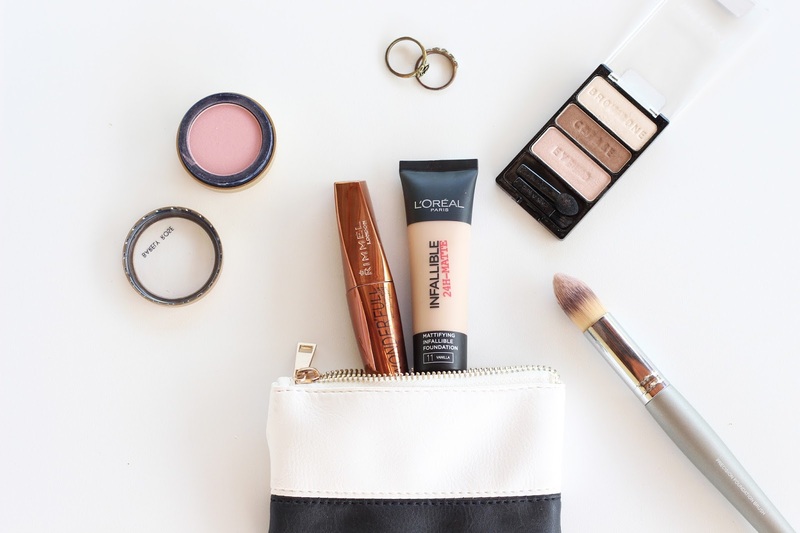 I love it when I find makeup products that that are reasonably priced and you just know you will repurchase, so here are my current four favourites. LÓreal Paris Infallible Matte Foundation: I'm not really one for foundations, but I have to say after using this one for a few months, I absolutely love it. 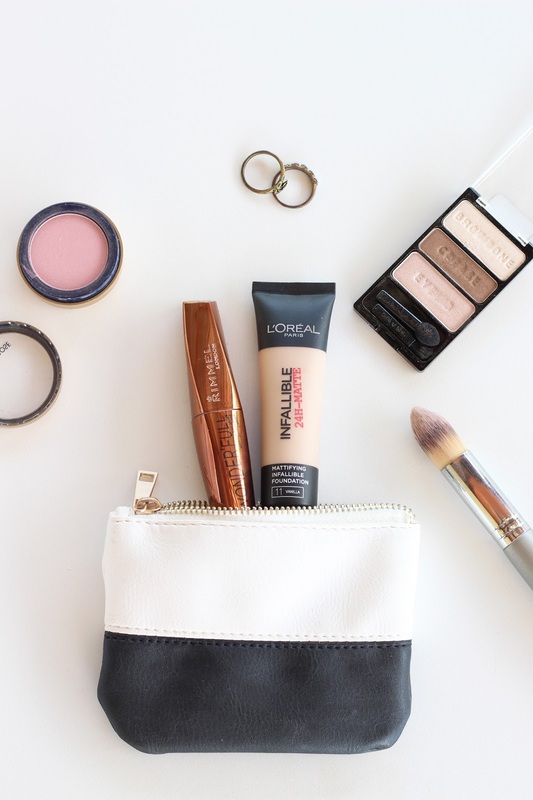 Because the foundation seeps into the skin and gives your face a clear matte affect you can apply it for any occasion without worrying about your face looking caked. It's weightless on your skin rather than that heavy feeling a lot of foundations give. The matte affect is lovely, as it hides the redness and keeps your skin smooth and oil free all day long. I use the shade vanilla and it compliments my skin wonderfully, as I am rather pale. Jane Iredale Purepressed Blush: This was the first Jane Iredale product I had ever used and I love it, it's deffiently a must try in my books. I went for a rosy pink colour and for a bright makeup look, it really is lovely. My skin has always been sensitive around the area you apply blush, so I was happy to go with a mineral blush, that cuts out all those pesky ingredients that harm the skin. Wet n Wild Colour Icon Eyeshadow Trio: I was pleasantly surprised at how great this Wet n Wild product worked, I thought it would be a bit of a let down. But it's turned out to be one of my favourite eyeshadows to use. I went for Walking on Eggshells which has a shimmer to it. If you're looking for something to make your eyes a little shiny this little palette will do the trick. Rimmel Wonder'full Mascara: I bought this mascara after trying out my sister's bottle and it's by far one of my favourite mascaras to use. I often find that when cleaning my makeup off the mascara burns my eyes all but this one. Its clump free and lovely to apply. This Rimmel mascara is made with argan oil to moisturise your lashes. I hardly ever use any other mascaras these days! I know I will be repurchasing the goodies all the time. Have you tried any of these products? Let me know your thoughts. 2 comments on "4 Beauty Must Haves"